The company announced that it has completed or has in construction 14 battery storage systems located at 11 fast charging stations. This is the largest deployment of battery storage systems at public fast charging stations in the U.S. Battery storage systems can offer relief to demand charge rate structures that inhibit fast charging deployment and EV adoption, accoring to the company. “As electric vehicles advance to accept higher power charging rates, energy storage will play a growing role in balancing the load of larger and higher power stations”, said Julie Blunden, Executive Vice President of EVgo and Board Member of the Energy Storage Association (ESA). Although EV fast charging stations do not always require a grid upgrade, as station sizes and power rating increase, energy storage will become an important tool, offering load balancing and mitigating distribution grid upgrade costs. 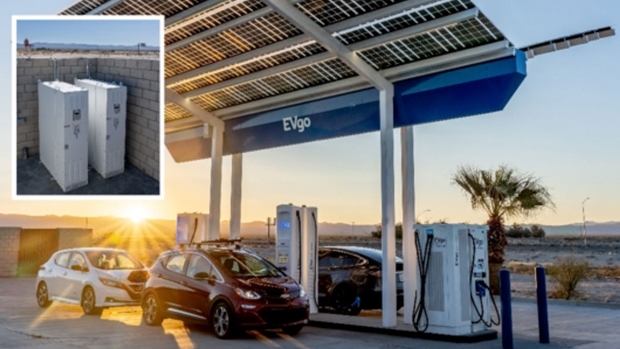 With more than 1,100 fast chargers in 34 states, EVgo electrified more than 75 million miles for electric vehicle drivers across the country in 2018.